Didn't Jesus have the power to heal people? 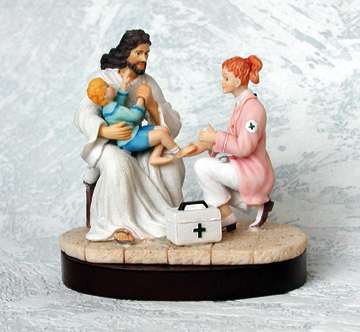 Since when did Jesus need a nurse to help him out? 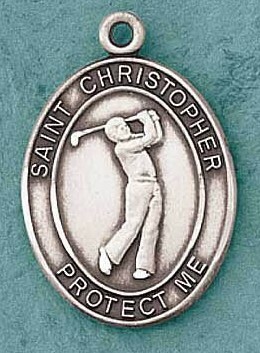 St. Christopher apparently carries a 3.4 USGA Handicap. Who knew? Is your child being bullied by the jerks from the Cobra Chi Dojo? 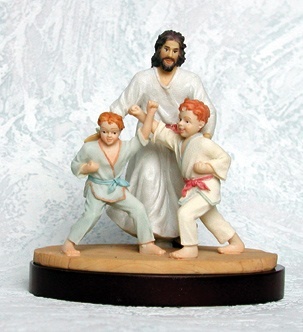 Mr. Miyagi Jesus can help. The never ending pursuit of making Jesus in our own image continues. The "jesus" in this movie isn't much different than the "jesus" that is being pushed by many of today's churches. This is what happens when Jesus' humanity is re-worked so that it conforms with our sinfulness while Jesus' divinity is ignored or re-tooled according to our idolatrous notions about how we want god to be. What's left is not an 'ultra christ'. What is left is a weak, pathetic, powerless Jesus instead of the perfectly righteous King of Kings and Lord of Lords who died on the cross to propitiate God's wrath and atone for our sins, the Jesus who sits enthroned at the right hand of God the Father and will come again with glory to judge both the living and the dead. 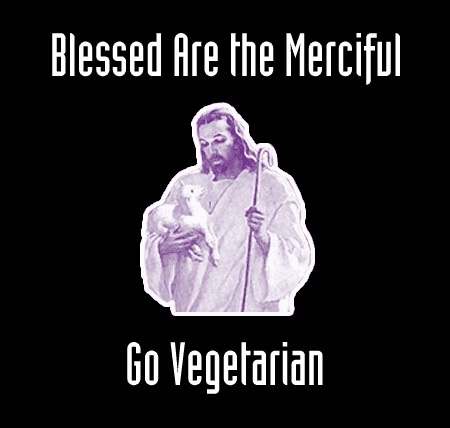 Warning: This trailer is extremely blasphemous, idolatrous and is NOT kid friendly. This is a Veggie Tale of a different kind. Has your favorite pet joined the choir invisible? 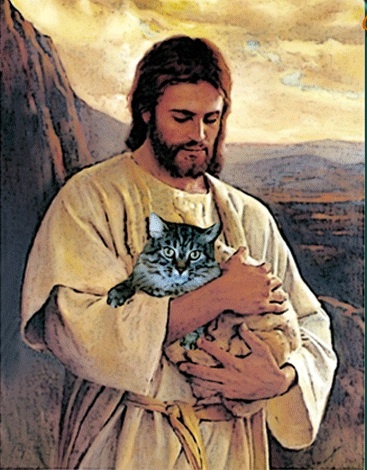 Now you can have a touching photograph made in tribute to your former pet. This ad clearly shows where the Emergent Church ends up. Once you chuck the Bible and God's Law as your standard for morals then men like Brian McLaren can deceive themselves and others into believing that someone like Obama has character and "supports families" while he votes to uphold the murder of unborn children as well as babies that have survived botched abortions. Is that what Jesus would do? 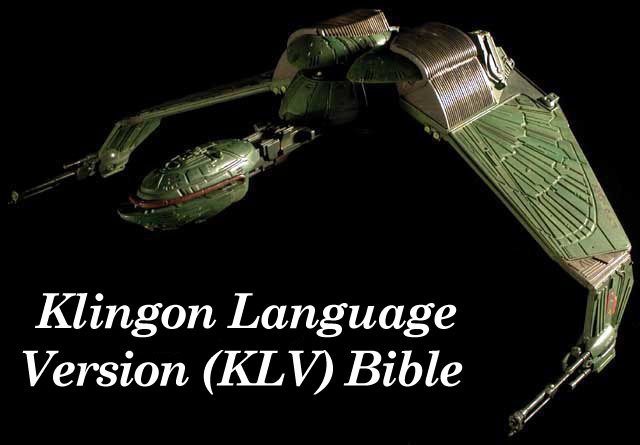 Just in case you have a close encounter of the Klingon kind, there is a now a Klingon Language Version (KLV) Bible that you can use to share the gospel. We probably shouldn't be complaining because this thing actually looks far more accurate than The Message.